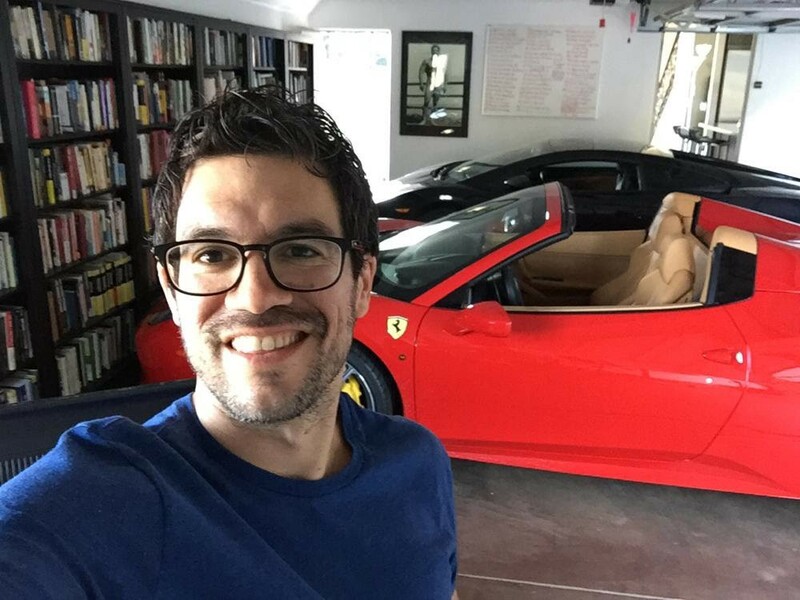 If you watch YouTube videos, you've probably seen Tai Lopez. He's the YouTube guy with the $200,000 Lamborghini and the $230,000 Ferrari 458 in his garage, along with bookshelves full of books. He explains that he went from flat broke to rich by reading books and having mentors. And he will show you how to do the same when you buy into his 67-step training course. Those kinds of infomercials don't appeal to me, and I never took Tai Lopez seriously.... until, that is, the day one of his infomercials came on and he said, "I'm here with my mentor, Joel Salatin..."
Yeah, that sure got my attention. This flashy dude with the Beverly Hills mansion, the fast cars, the girls, the hangers-on, the famous Hollywood friends, was mentored by the down-to-earth Virginia chicken farmer, Joel Salatin?? When Tai Lopez was a teenager he apprenticed at Joel Salatin's Polyface Farm in Swope Virginia for 18 months. And if that isn't paradoxical enough, Tai also lived with an Amish farm family for two years. 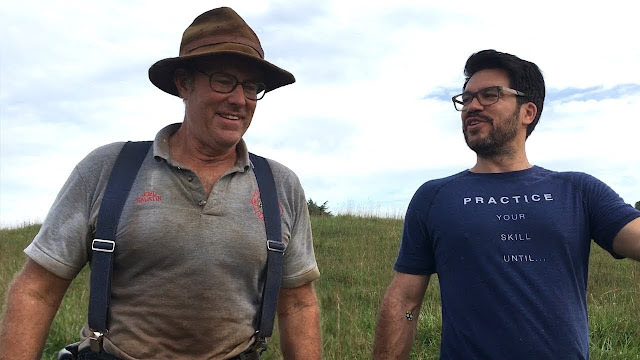 In This 2017 YouTube Video Tai Lopez and Joel Salatin look at the 96 acres of land Tai bought near Joel's place in the Shenandoah Valley. In This YouTube Video, Tai and some of his California associates visit Polyface Farm and have dinner in Joel Salatin's house. That's kind of neat. After the Joel Salatin connection became clear to me, I started watching some of Tai Lopez's YouTube Videos (there must be hundreds of them), and I have to admit that many of them are pretty good. By "pretty good" I mean they are interesting and thought provoking. Tai is not just a master at self promotion, he's surprisingly smart. He supposedly reads a book a day, and he evidently retains much of what he reads. Tai is all about helping people achieve "The Good Life," which he verbally defines as "health, wealth, love, and happiness." This so-called "good life" is visually displayed in a steady stream of ostentatious vanity. In the final analysis, Tai's persona is powerfully appealing, and much of his advice, gleaned from his books and mentors, is truly wise. But I'm inclined to think the outward expression of his internal worldview reveals evidence of a disturbing spiritual poverty. That is, of course, just my observation and opinion. I sincerely like Tai Lopez, and wish the best for him. But I wouldn't consider him a good role model. I sure don't want to be like him. Elizabeth L. Johnson said, So interesting that you would bring up "the good life". This morning I was reading Ephesians 2:10 (Amp) describing the good life as "taking paths which He prepared ahead of time, that we should walk in them". You're right that the internal affects the external.